Halloween at Sedbergh! You may see some changes at the centre over the next few weeks with regular groups running themed sessions! Make sure you dig out your broomsticks! 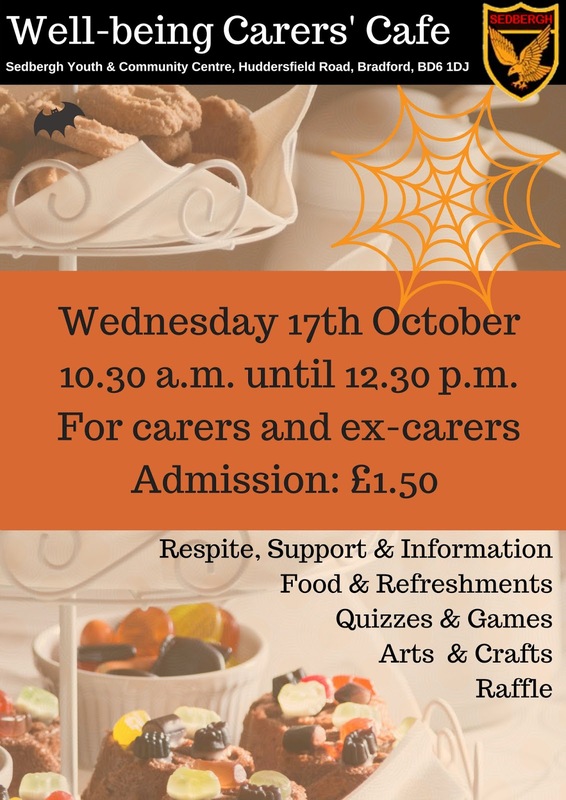 Please Note: The Forget-me-not Music Jam that was due to take place on the 17th October has been cancelled. Sorry for any inconvenience. We had a great turn out on Friday for the Exploring What Matters course which is running for a further 7 weeks at the centre. If you are interested we can take bookings for the next few days (only 8 places left). 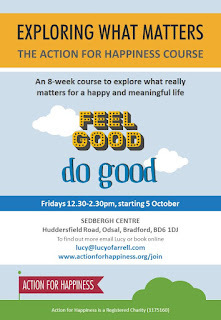 The course explores happiness and how to make lives better for everyone. It is a very informal and comfortable setting with lots of laughing. 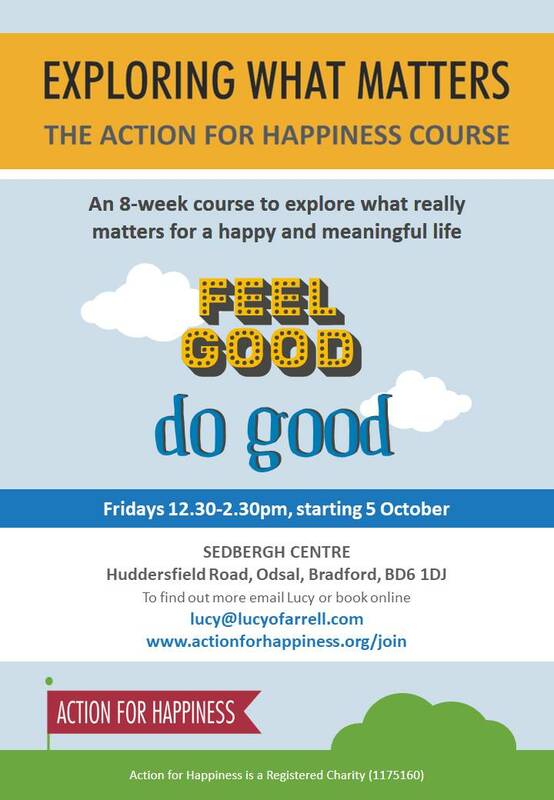 You can book here http://bit.ly/AFHsed and feel free to pay as you feel. We would like to express our thanks to the Sir George Martin Trust for funding our recently installed Sensory Seating area which has been placed around the children's active play area in our grounds. 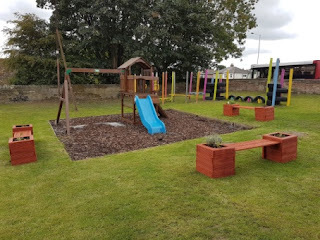 The funding paid for the beautiful benches and sensory plants. We would also like to thank community volunteers Marks & Spencer and Paul Mazacs who worked hard to complete the development. We hope the sensory seats will be enjoyed by the whole community and encourage learning and more wildlife to the area. Makaton is a language programme using signs and symbols to help people of all ages to communicate. 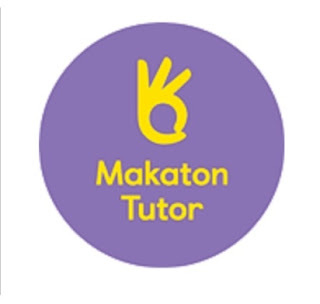 The workshop is suitable for beginners and is designed for parents; those wishing to use Makaton in their work and for those with a general interest. Attendees will learn around 280 Makaton signs and symbols taken from Stages 1 to 4 over all days. They will gain an insight about Makaton and how to use it effectively. These sessions are a fun and interactive way to learn with lots of activities to practice and gain confidence in signing Makaton. Full course costs: £130 with a deposit of £40 to secure your place. 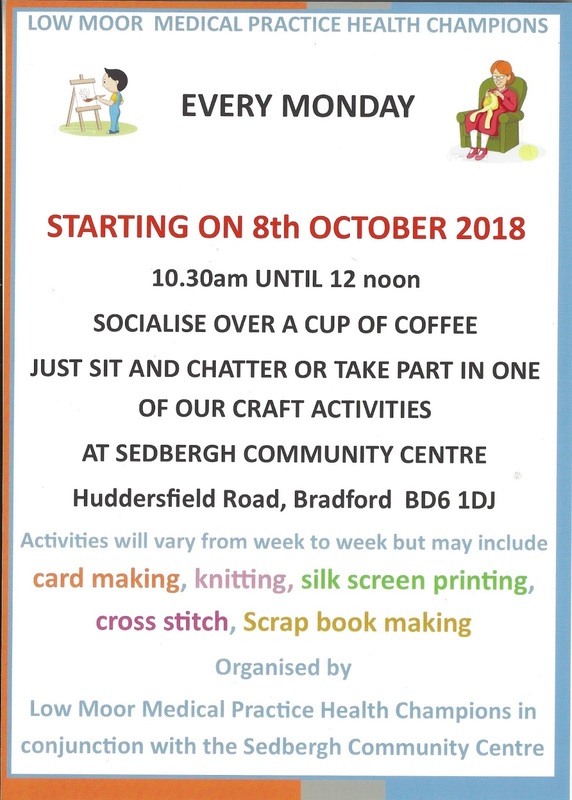 BOOKING IS REQUIRED! Please contact Kerry Cawley for a booking form on: kerrycawley@blueyonder.co.uk or 07913008753. 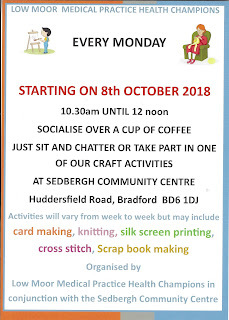 Refreshments, course manuals, Makaton pocket book of signs and symbols and a Makaton certificate of attendance are provided. This course runs over 4 Thursday mornings on the 8th, 15th, 22nd and 29th November 2018 from 9.30 a.m. - 12.30 p.m.